Designed for use in conjunction with BIOTABS®. Apply BioPlus® at least daily by spraying directly onto urinal surface and floor area underneath the urinal particularly on areas where spills can occur and leave to dry. REFILLABLE: Dilute one 25ml BIOPLUS® CONCENTRATE Sachet Refill to 500ml with water in recycled BioPlus® bottle sprayer. 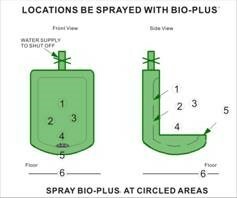 INSTRUCTION - Apply BioPlus® at least daily by spraying directly onto urinal surface and floor area underneath the urinal particularly on areas where spills can occur and leave to dry. 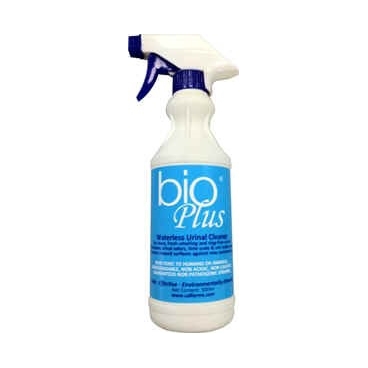 REFILLABLE - Dilute one 25ml BIOPLUS® CONCENTRATE Sachet Refill to 500ml with water in recycled BioPlus® bottle sprayer.